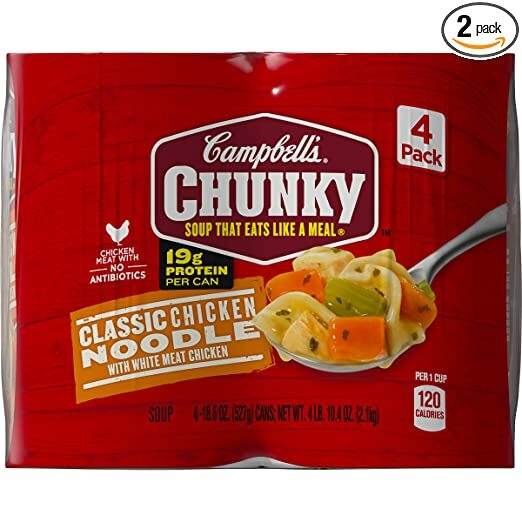 Amazon: Campbell’s Chunky Classic Chicken Noodle Soup With White Meat Chicken, 18.6 oz. Can, 4 Count (Pack of 2) $1.07 per can shipped! Head over to Amazon where you can score Campbell’s Chunky Classic Chicken Noodle soup for $1.07 a can shipped! Pay: $8.59 or $1.07 per can shipped!